Where are you having fun? @bogseungah is having fun in South Korea. 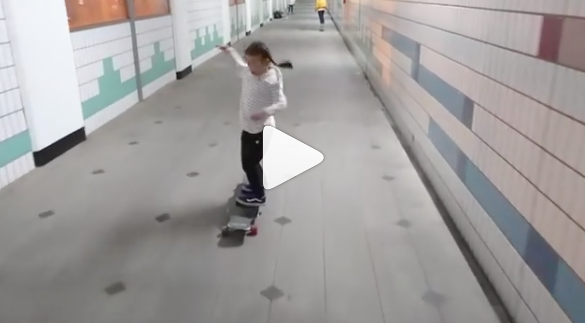 Hope you share soon because more girls skateboard when they see girls having fun skateboarding and more girls skate when we encourage each other so it’s wonderful to see all the support around the world. What’s Going on In Your Basement? What’s going on in your basement? I love what’s going on in Marco’s basement. 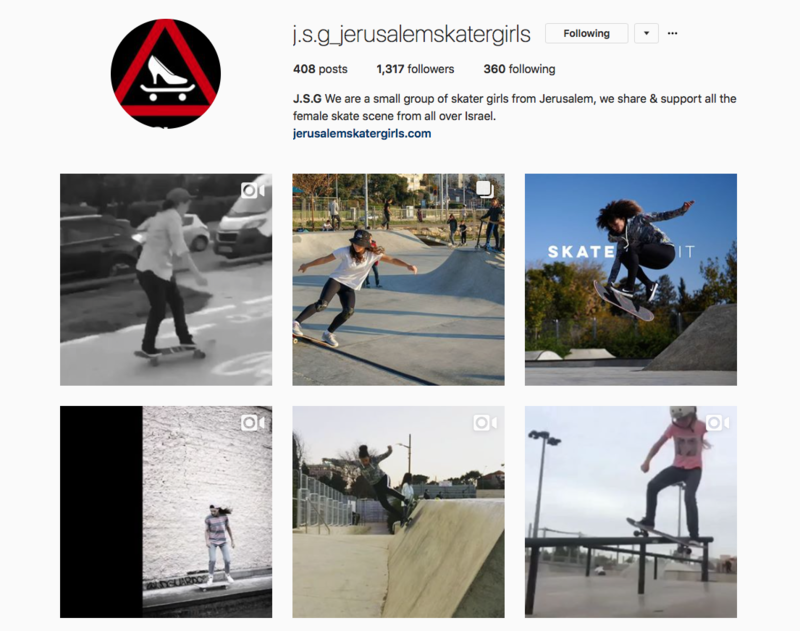 More girls skate when they see girls having fun skateboarding and get encouragement! So rad to see Martina has the support of her entire family. Skateboarding alone is fun but skateboarding with friends & family is even more fun. And yes, practice is needed and falling happens, so I’d much rather fall on carpeting. Where are you having fun and with you are you skateboarding? We all start somewhere and I believe we stick with things when they’re fun and we have encouragement. If you don’t fight for what you want, don’ cry for what you lost! If something is important to you, then by all means you should fight for it. In my opinion it’s far better to try and fail than to never try. If you fail you can keep trying while if you never try, you’re just stuck “crying”. What skater girls are inspiring you? Hope you share soon because more girls skate when they see girls having fun skating. Have an awesome weekend and be sure to check out @kamsmets. She has amazing style and because her posts are in French I get to practice reading – which believe me I need to practice my French. Believing you can do something, is the first step in doing it! I believe she can too! I also believe that seeing is believing. When we see girls having fun skateboarding it’s super motivating because it shows us what’s possible. Where are you having fun skateboarding? These pictures of Lily are from Mandurah, Western Australia. I hope you share soon because more girls around the world skate when they see girls skating. And if you don’t believe you can skateboard, well believe me when I say you can it’s just a process and every process starts with learning! Don’t let your fear of falling, or never having done it, or any other fear stop you!!! @karenabeach has a love of surfing – the waves and the land. 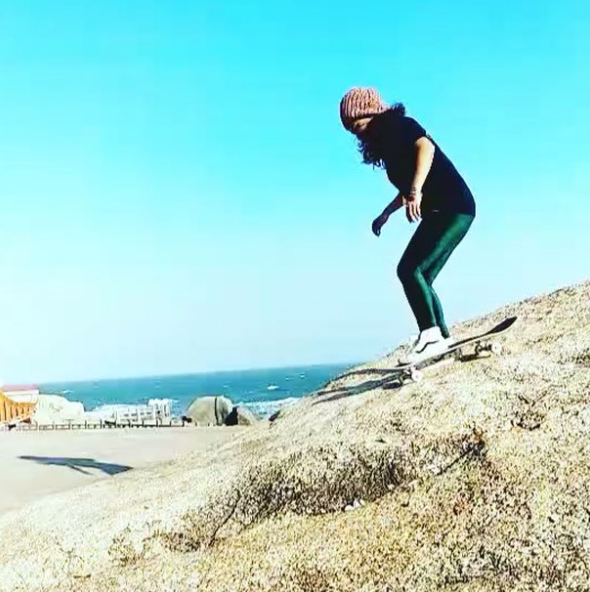 Above she was skateboarding by the West Coast Chinese Coastline and below she’s using her skateboard to move her surfboard. Where are you having fun skateboarding? And how do you incorporate skateboarding into everything else you do? More girls skate when they see girls having fun skateboarding, so I hope you share soon. 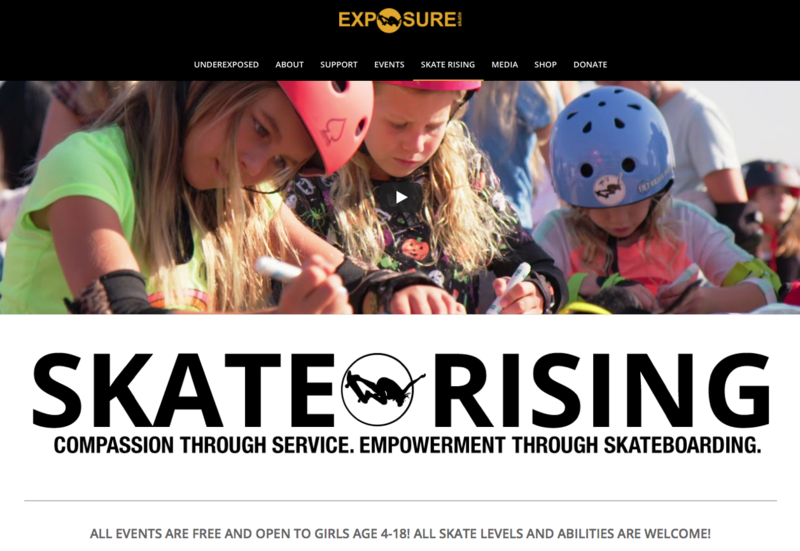 Skate Rising, EXPOSURE Skate’s youth program, started in the San Diego California area and then expanded to Phoenix Arizona. 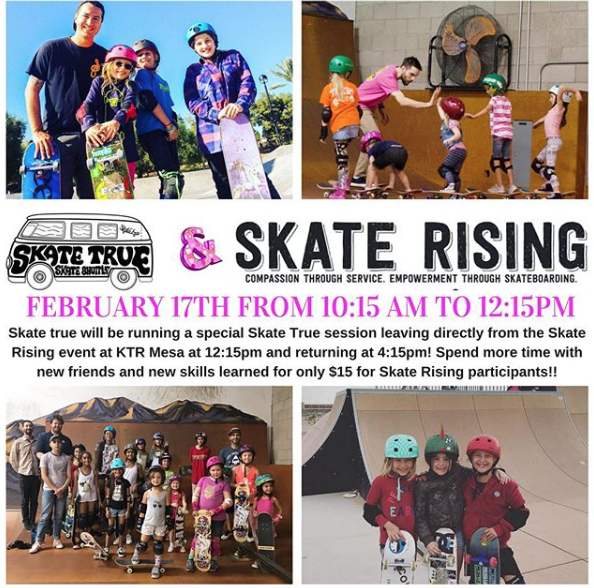 Starting with the February 17, 2018 event Phoenix Skate Rising will be at KTR Mesa. 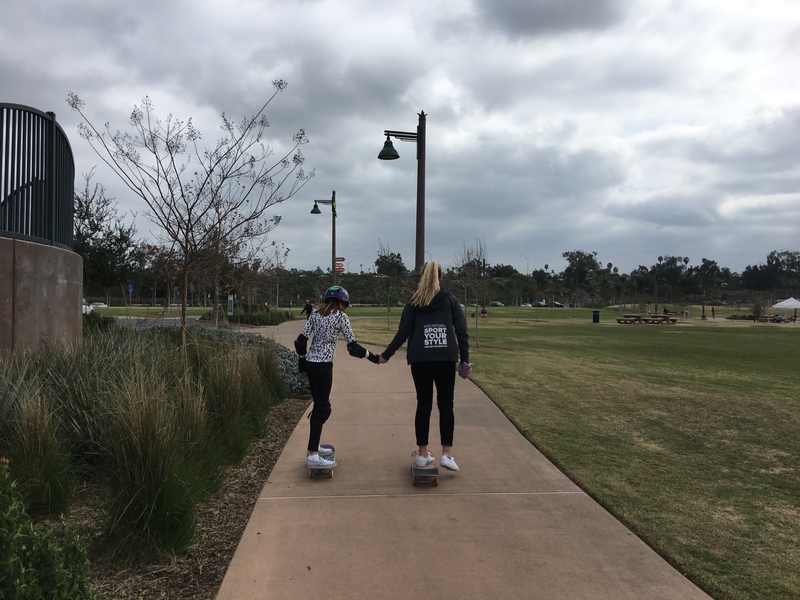 Skate Rising is a a free opportunity for girls ages 4 – 18 to join together to skateboard and learn about how they can contribute to the community. At the upcoming 2/17 event there will be a lesson and activity focused on kindness presented by Calli Kelsey and Stacy Lovell Perfect timing because this is Random Act of Kindness Week. 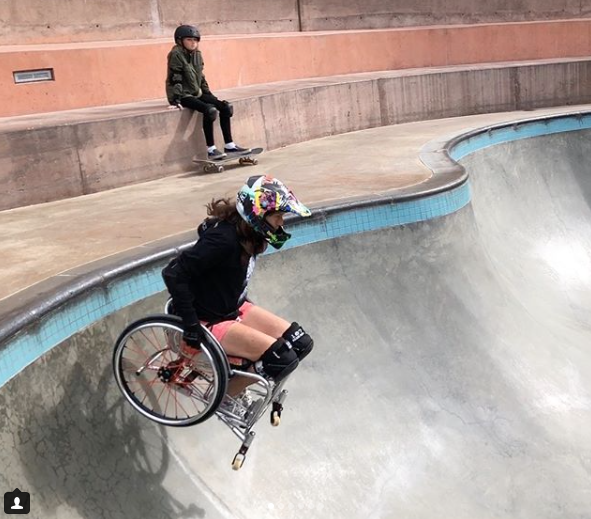 Plus there will be a skate clinic for girls of all levels and abilities run by Natalie Krishna Das Ellig, Skate True and Las ChicAZ with available rental gear because everyone who wants to try skateboarding is encouraged to! Snacks will be provided by Postino Wine Cafe and the event will end with a raffle full of fun prizes including a free week of camp at Woodward West! Super exciting because Girls Week is coming up fast. 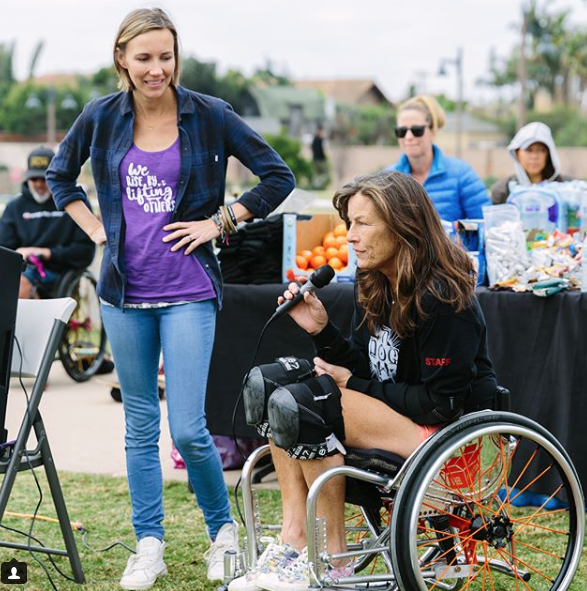 Stacy Lovell is the new Skate Rising Phoenix organizer and this is what she had to share about why she’s excited to be involved. My daughter, Mia, began skating when she was 5. 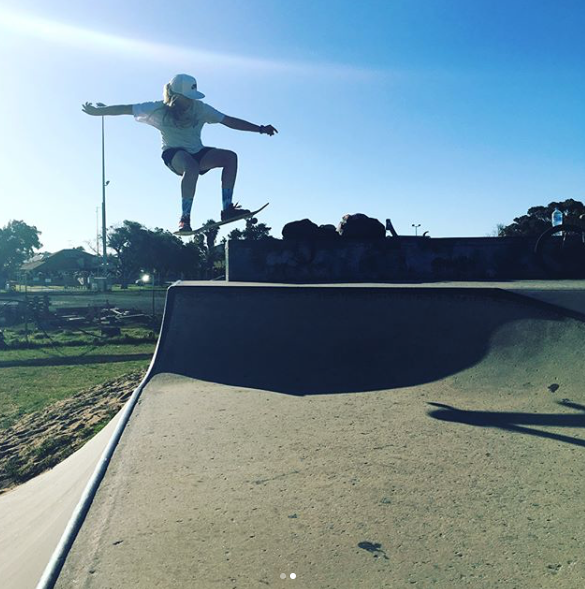 She is excelling in the sport, having recently won 2nd place in 14 and under Am division at EXPOSURE, the largest all female skate comp in the world. 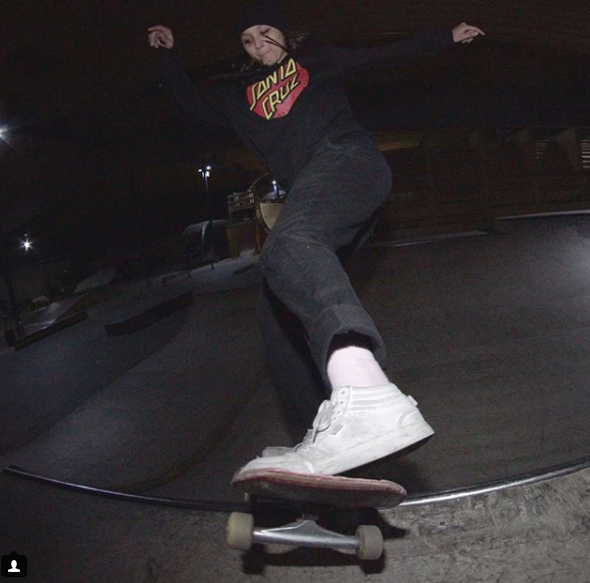 As a part of EXPOSURE and being in the skating community, I met Calli and we became close friends. She exposed me to Skate Rising and the great things they are accomplishing. I am proud to be exposing many new girls to the sport of skating, and to the positivity of Skate Rising. 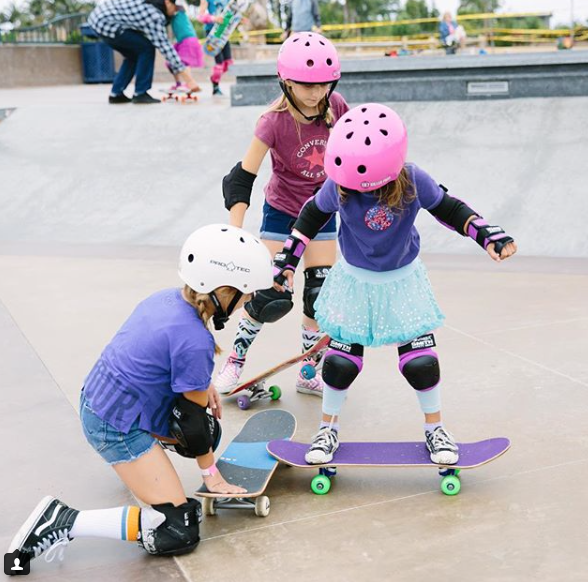 Skate Rising events are all about inspiring and empowering girls of all ages to come out, try something new, make some new friends, and experience an amazing group of loving, supportive people! For the February 17th event, we are doing a talk about kindness matters and making kindness cards and planting seeds. We will also be making kits for the homeless. More girls do skateboard when they see girls skateboarding, so I’m super excited for everything that Skate Rising is doing, the dedication of volunteers like Stacy, and for the support they receive from sponsors like KTR (Kids that Rip) and Skate True. Skate boarding is very important to KTR Mesa as we have had some great skaters involved at KTR . 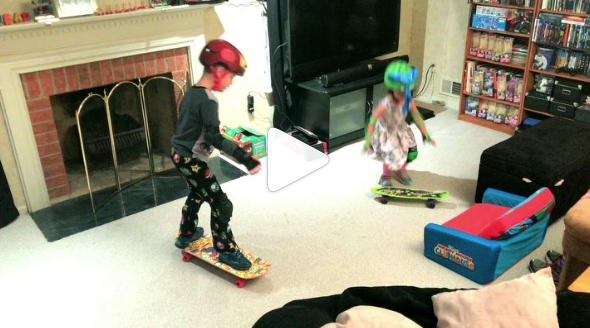 Jagger, Jett and Koston Eaton along with Alana Smith to name a few. 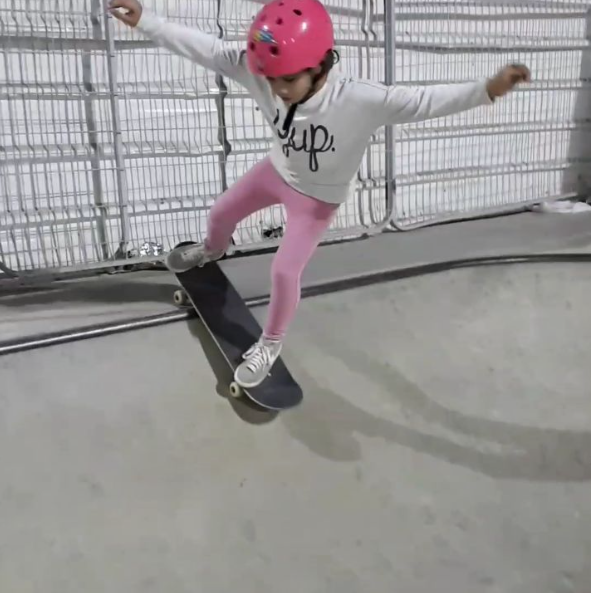 Skateboarding is a great activity for all kids and we love the goals that Skate Rising has for girls who love to skate board. 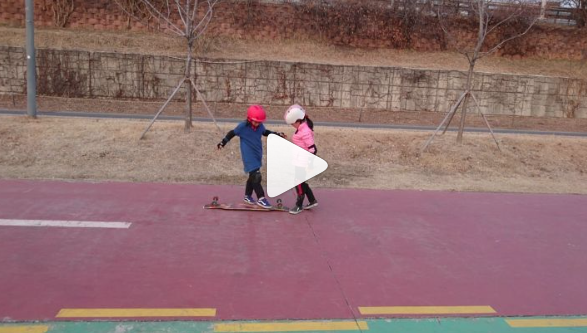 We have a pre-school morning program that includes skateboarding and we are so excited for all of the little girls that are getting out there and trying this great activity. 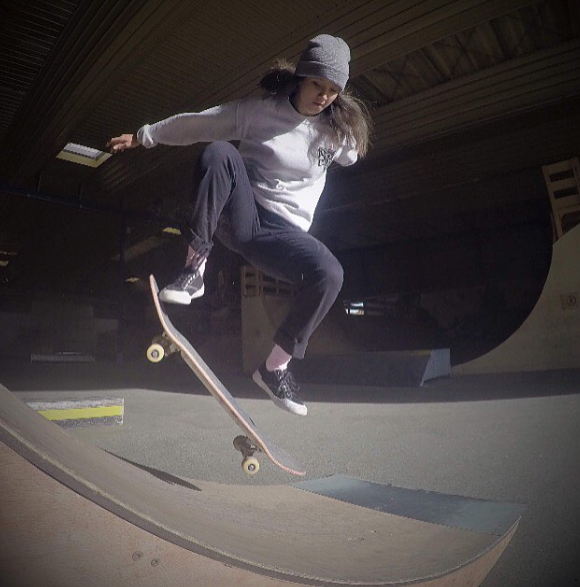 We have also started a Friday girls skate boarding class to encourage more girls to try skateboarding. 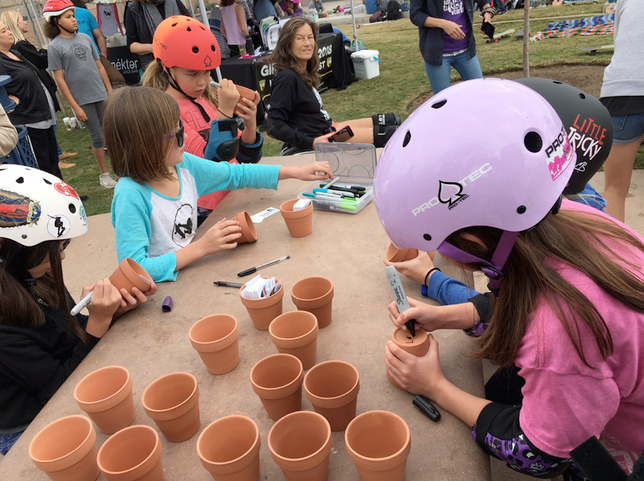 Encouraging kids to try new things, meet new friends and focus on doing great things for their community is something we love to be involved with and are excited to have Skate Rising at KTR Mesa. At the events, Skate True will be helping with the skate clinics and then after offering skatepark tours. Stacy told me that Mia loves Skate True tours which provide 4 hour sessions to 2 different parks out of a 35 parks in the greater Phoenix metropolitan area. 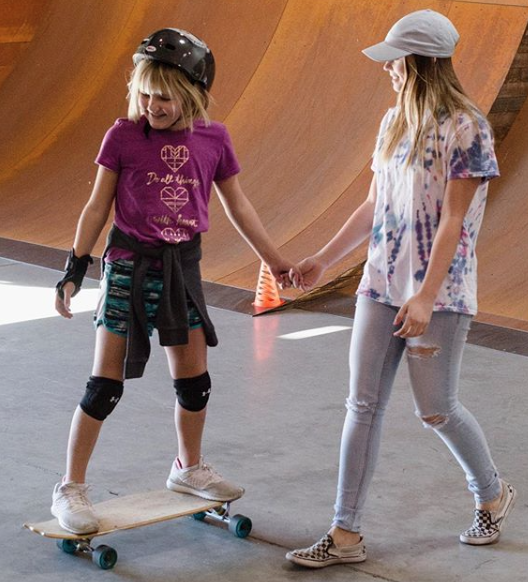 The kids are encouraged to skate true to themselves and skate anyway they want during the session receiving personalized tips and training along the way. All this makes me want to visit Phoenix! 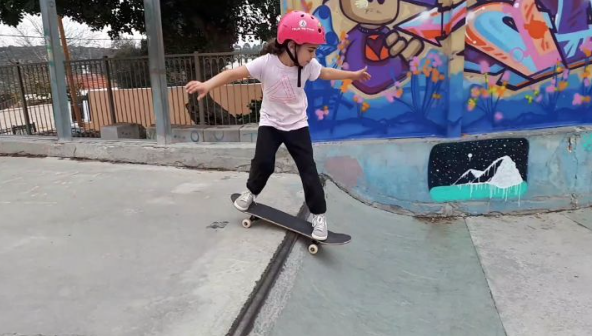 Girls are skateboarding around the world and with such wonderful support the future looks bright in deed. Till next time keep it stylish on & off the board and if you have a story to share about how skateboarding is fun for you, how you’re encouraging others to skateboard, or who’s encouraging you to be your best self on & off the board – please share! Kindness grows & it grows faster the more we read and talk about it. Happy Random Act of Kindness Week. 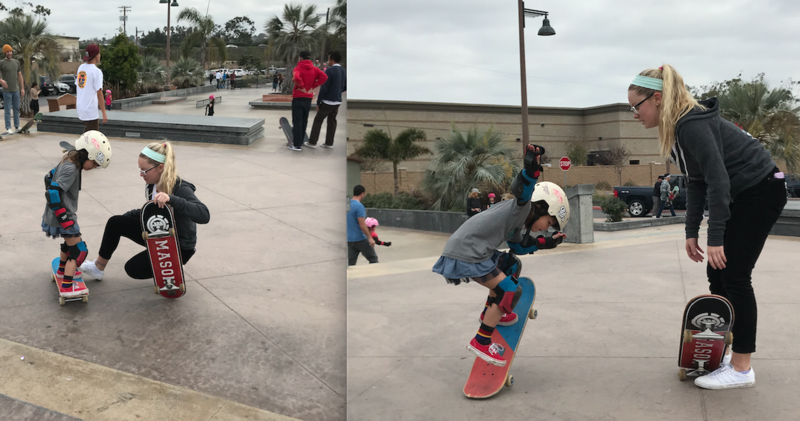 On Saturday, February 10, 2018, Skate Rising was back for another fun monthly event at the Encinitas Skate Plaza. This month the girls focused on getting out of their comfort zones and spreading kindness. The morning started off with Tracie Garacochea. She’s an extreme athlete, who encourages everyone to go for it. She shared her inspiration through the story of how the Cookie Crumbles. It really is up to each of us to look for the positive and to stay positive. When we radiate positivity, that’s an act of kindness. In celebration of Random Acts of Kindness Week, the girls heard more about the connection between leaving your comfort zone and kindness because once you leave your comfort zone you’re able to share kindness with more people. For instance, I shared my experience of finding a lost dog and going through the process of taking him home. The idea of finding a dog’s home terrified me – where would I go (he didn’t have a tag), who would I have to talk to (the police, animal control, ? ), plus if successful I’d have to give up the dog (who I fell in love with). When I faced the fears and had his chip read, I found his home and I saw how my simple act made a family so happy. The act of being kind to the dog grew to being kind to an entire family. 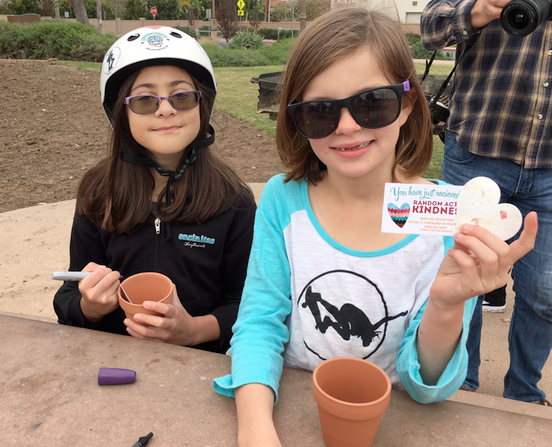 To further illustrate how kindness can grow, Bridget founder of Yoga for Skateboarders led the girls in a planting activity. Just like a plant grows when attention is paid to it, kindness grows when we pay attention to it. Plus the girls received a Random Act of Kindness Card. The card is an invitation to each girl to pay it forward in her own special way and then post a picture to Instagram tagged with #RAKweek2018 #skaterising #exposureskate. The girls will be able to watch their plant grow and see the pictures/stories of how kindness has grown because of them. Finally, the girls showed kindness through all the supplies they brought to make kits for the homeless. After the kits were made, it was time to skate! In addition to free skate with all their friends, the girls had an opportunity to learn from the volunteers including Neil Mims. My positive memories of learning to skateboard with Neal inspired me to volunteer. What’s amazing is that once a girl is helped she goes and helps others – kindness growing right in front of our eyes at every Skate Rising. 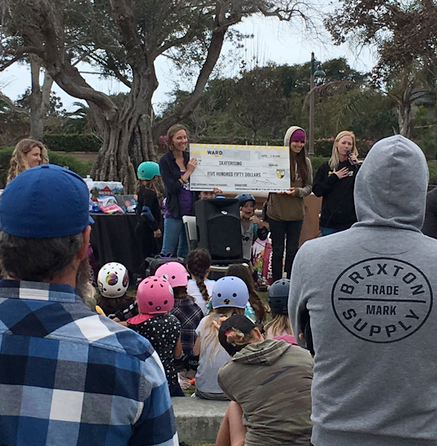 The morning ended with a raffle and a donation from Woodward West. 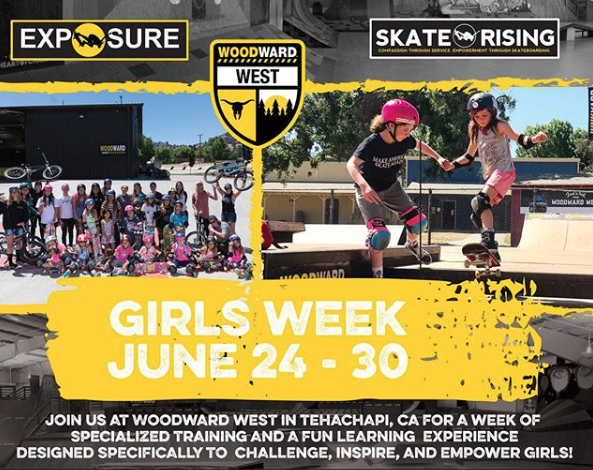 If you haven’t heard Skate Rising, which is EXPOSURE Skate’s Youth Program, is teaming up with Woodward West for this summer’s Girls Week. In appreciation for all the girls already signed up Woodward West made a donation. It will be a fabulous week to improve skate skills and build friendships. 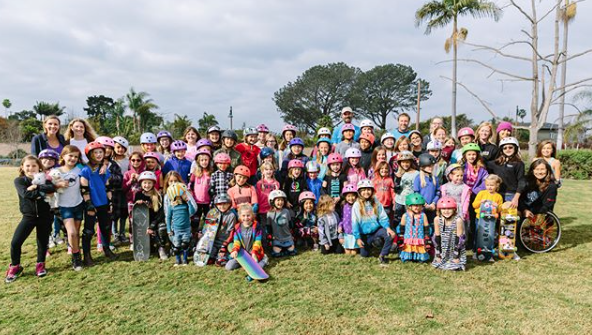 There’s still time to sign up for Girls Week and the 2nd Saturday of the month is always the time to meet up with Skate Rising in Encinitas. Or if you’re in the Phoenix, Arizona area check out Skate Rising Phoenix on the 3rd Saturday of the month. 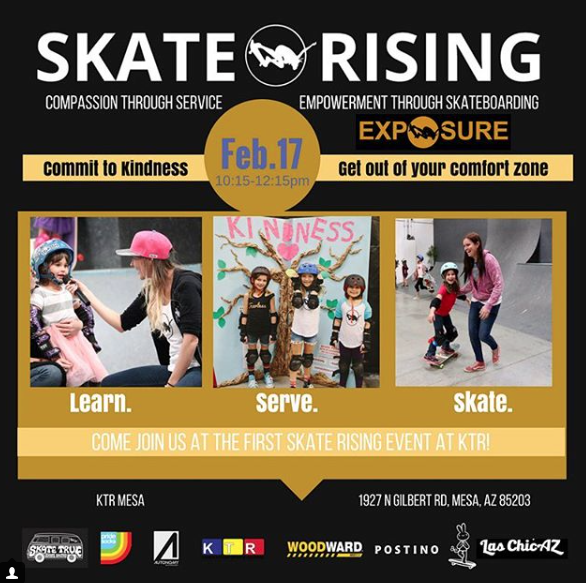 To find out more about Skate Rising including how to be a volunteer or sponsor contact the founder/organizer Calli Kelsay at calli@exposureskate.org. Till next time keep it stylish on & off the board by being kind to everyone you meet. 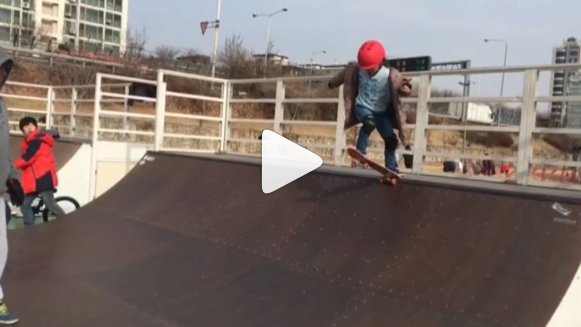 More and more girls are skateboarding all around the world. Above Ella is skateboarding in Jerusalem. 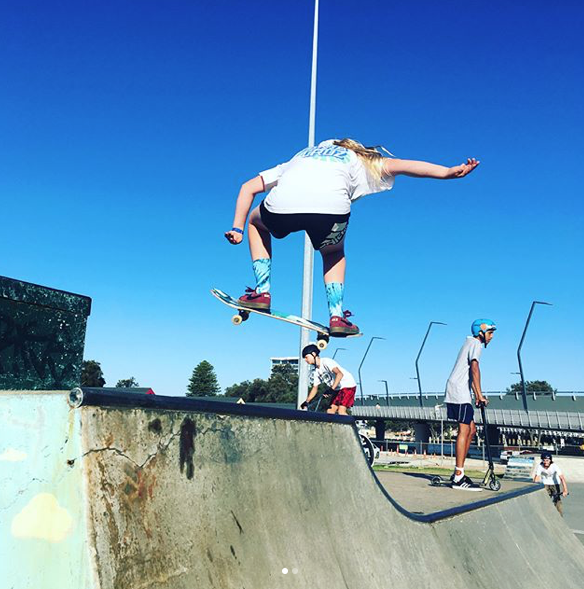 She took the time to share because she and her family know that more girls skateboard when they see girls having fun skating. I hope you share soon too. This week Random Acts of Kindness Week (and every other week) make it your mission to share something. Whether it’s a smile, a kind word, or showing someone what’s possible – whatever action you take to make the world happier is an action that grows. 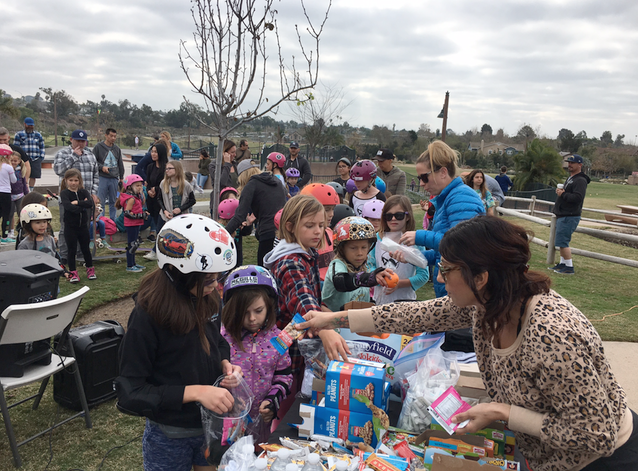 Families supporting each other, girls supporting girls in skateboarding – all acts of kindness that make the world a better place. Random Acts of Kindness should occur everyday. I believe they do and that more RAKs happen when their stories are shared and people see that kindness is not hard, it is as simple as a smile or giving someone a hug. A hug takes seconds and can wipe away the pain of self-doubt, loneliness, and so much more. Hugs help the huggee and the hugger because love, kindness, peace, it all grows exponentially when shared. 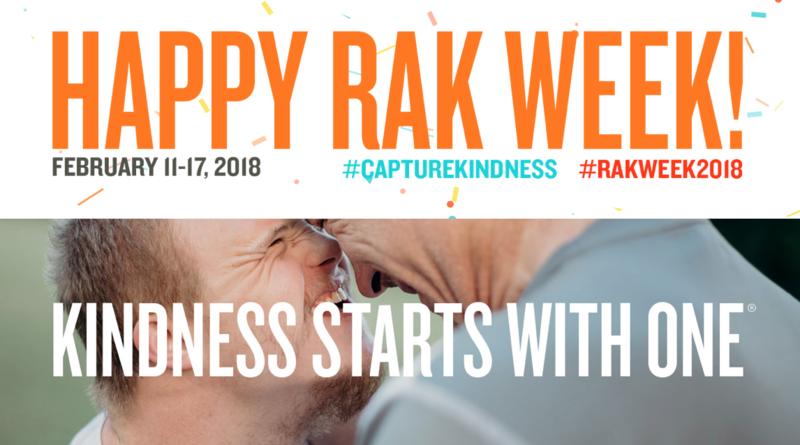 To find out more about #RAKWEEK2018 check out Random Act of Kindness Org. And if you have stories of how you shared kindness through skateboarding, please share them with me. The more people who hear your story, the more people who are inspired to also be kind (and yes to skateboard). Another organization that’s reminding others to “give a hug” is Art Revolution Foundation. 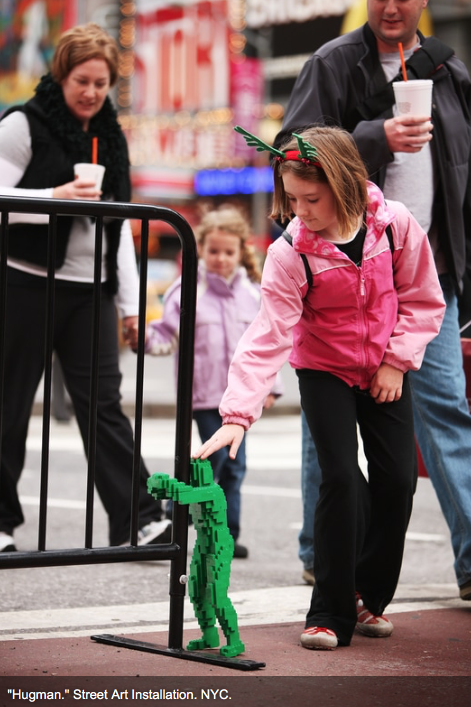 Art Revolution was founded by Nathan Sawaya, a world-renown artist, whose art focuses on large-scale sculptures using only LEGO® bricks. Yes, I said art out of “toys”. On January 21, 2018 (National Hugging Day) over 100 of his HUGMAN sculptures were placed around Los Angeles, California. HUGMAN started before this year, click above to see just some of the places a HUGMAN has been spotted. I find this wonderful because sometimes all you need is a reminder of what’s important – a hug. Is it possible that you see a HUGMAN and he inspires you to hug someone? I think yes!!! 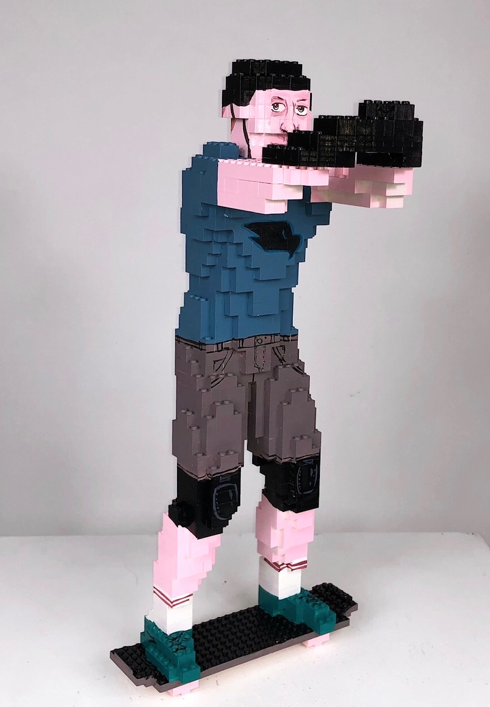 The figures in the 2018 LA installation were customized by notable artists and pop culture influencers, including Tony Hawk, professional skateboarder and philanthropist. Above the Tony Hawk HUGMAN which with all the other LA pieces are available through auction through February 14, 2018. The money raised will benefit in school art programs. 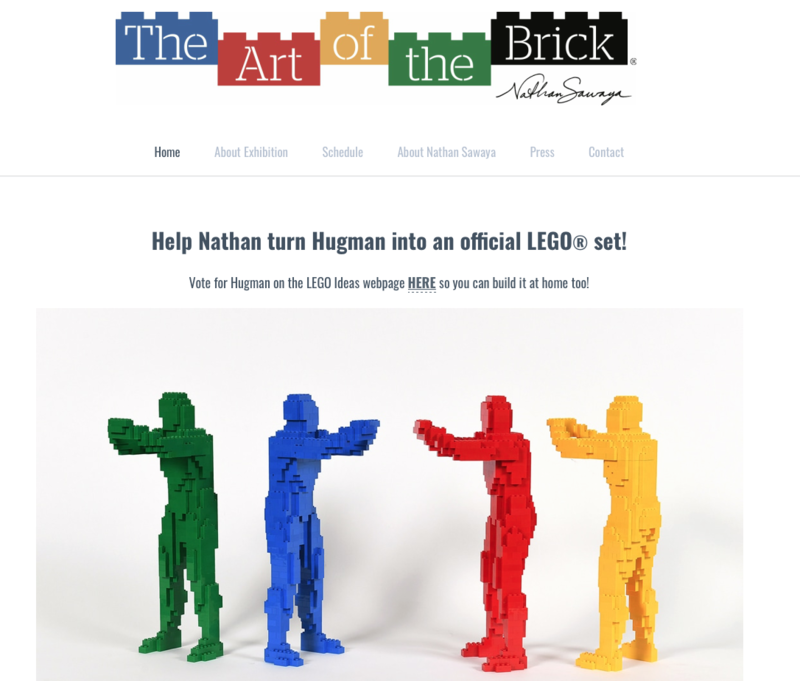 You can also vote for HUGMAN to be an official LEGO set by clicking below. Hugs can make the difference, so I hope the reminder that RAK week is this week and seeing the HUGMAN inspires you to go out there and give as many hugs as you can. Hugs are stylish on and off the board. Encouragement in any endeavor is helpful. Seeing girls skateboard and receiving encouragement are in my mind two of the biggest reasons why girls skateboard and stick with it. Katy is such an encouraging mom, she allows practicing in the house! You go Katy! There’s never a wrong time or place to skateboard – it’s not a crime – it’s exercise, art, sport and fun. To me the hardest time was just starting, so why not start somewhere safe like your home. Where are you skateboarding and who’s encouraging you? I hope you share soon because skateboarding is meant to be shared.